Home / TRAVEL / DAYS OUT / Something Wicked this way comes! 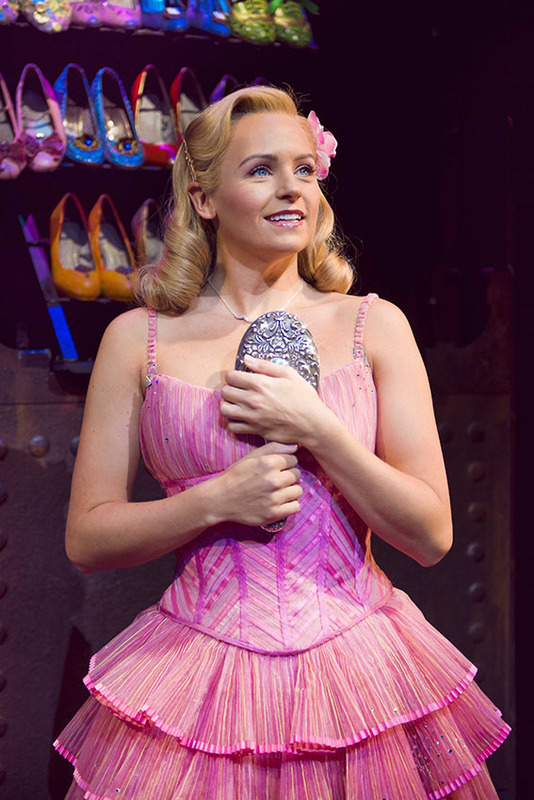 Wicked has been seen by an incredible 53 million people around the world and is deservedly one of the most celebrated and successful musicals of all time. This unforgettable musical has just started a much-anticipated UK Tour, kicking off with a five-week run at the Bristol Hippodrome. In the impressive opening to the show, we meet our two witches-to-be, as well as Elphaba’s spoiled little sister, Nessarose, at boarding school. 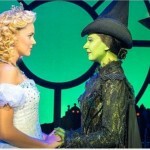 Glinda and Elphaba develop an unlikely friendship after going to the prom and by the interval, they’re the best of friends. But trouble looms on the horizon and in the second half their friendship implodes over their love of the same man, Fiyero. The devious headmistress of Glinda and Elphaba’s school – Madame Morrible – whisks them off to Oz where they encounter the Wizard, who’s not what he seems, to say the least. 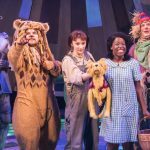 No spoilers here, but suffice to say that adventures abound, and by the end we learn how Fiyero becomes the scarecrow, Boq the Tin Man and where the cowardly lion fits in. No expense has been spared on this gigantic production. It takes a staggering 100 people, both onstage and backstage, to deliver at each performance! 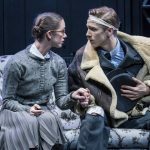 And it shows – this highly acclaimed touring production does not disappoint. Full of spectacle and magic, the set design is wonderful – this is a true visual delight. The costumes, make-up, hairdos and wigs are all stunning, and varied; think Strictly meets Steam Punk! The music is fabulous, whisking us off to Oz and beyond, and the vocals are almost acrobatic. The cast stars Amy Ross as Elphaba, Helen Woolf as Glinda, Aaron Sidwell as Fiyero, Steven Pinder as The Wizard and Doctor Dillamond, Kim Ismay as Madame Morrible, Emily Shaw as Nessarose and Iddon Jones as Boq. The performances are great, especially our leading ladies – Amy Ross and Helen Woolf and Amy’s singing was especially noteworthy. All in all, a splendid performance and an excellent cast. Do go and see this wonderful show and discover that the Land of Oz is not what it seems and that looks can be deceiving. As the Wizard says ‘Truth is not a thing’. 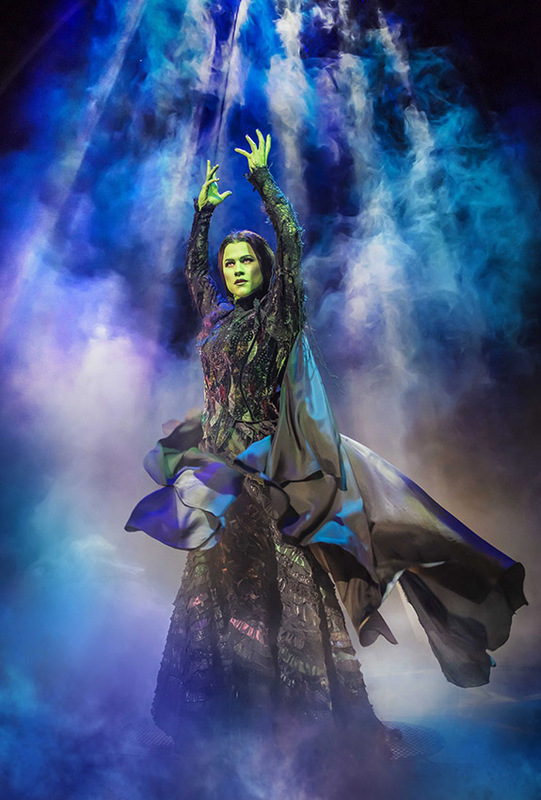 You can leap onto your broomsticks and see Wicked at the Bristol Hippodrome until Saturday 3rd March 2018. 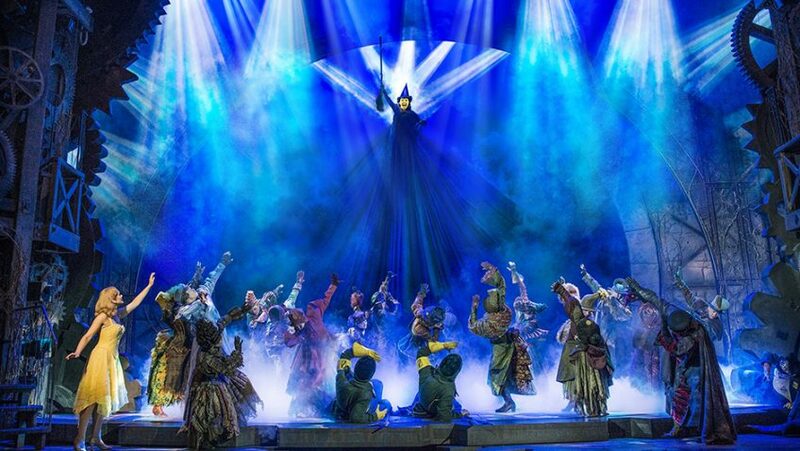 Wicked will have you spellbound!